When you are in search of a new commercial vehicle near Cleveland, Ohio that can handle your business needs with ease, turn to Ganley's Mayfield Nissan in Mayfield Heights, OH. Our full-service Nissan dealership and service center not only stocks new Nissan cars, but Nissan's complete commercial vehicle lineup as well. From a rugged new Nissan Titan to a Nissan commercial van like the new NV Passenger Van, you can find a Nissan commercial vehicle to meet your business needs here at Ganley's Mayfield Nissan! Our knowledgeable sales staff can give you a tour of the many convenient and work-focused features of Nissan's commercial vehicles; then you can take your Nissan NV 200 van or Frontier pickup truck of choice out on the road for a test drive. Tell our sales associates about your next commercial vehicle's work duties and we can assist you with finding the ideal Nissan commercial van or truck for the job! Remember, every Nissan commercial vehicle comes backed by Nissan's stellar commercial van warranty, including 5 Years or 100,000 Miles of a Bumper-to-Bumper Limited Warranty. If you plan on financing your new Nissan commercial vehicle purchase, then stop by our finance department so you can get the auto loan you need to drive off in a new Nissan Titan XD today. Our finance staff has years of experience working with drivers of all credit levels, including buyers with less than perfect credit. You can even begin our hassle-free auto loan application process before ever stepping foot onto our dealership lot; make use of the secure online credit application we have made available here on our website. 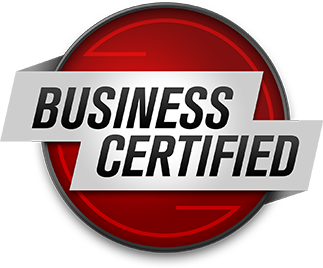 Ganley's Mayfield Nissan offers a comprehensive commercial vehicle shopping and ownership experience. From your initial vehicle search and buying and financing your new Nissan to auto maintenance and warranty service down the road, we have got you covered! Make your way over from Cleveland, OH or beyond to our convenient Mayfield Heights location for a one-on-one tour of our commercial vehicle inventory or get your search started by browsing our inventory online now! With 57 reinforced cargo mounting points that allow drivers to customize the interior of their Nissan NV Cargo van, ample front legroom to keep you comfortable for a long haul and power outlets strategically placed in both the center console and by the rear door, this commercial vehicle fulfills the needs of all small business owners. The new Nissan NV200 Compact Cargo van delivers the extensive cargo capacity your business needs but with a small footprint that is ideal for city driving and traffic. With its sliding rear doors and 122.7 cubic feet of cargo volume, this Nissan van gets the job done with ease. When your need is transporting up to twelve passengers in comfort, turn to the new Nissan NV Passenger Van. Thanks to its water repellent seating and twelve rear passenger heating and cooling vents, all of your passengers can ride with comfort and convenience. Nissan's mid-size pickup truck comes standard with a full-length, boxed ladder frame for the strength and confidence you need for work and play. With a spacious truck bed and forward-facing rear flip-up seats, the new Frontier offers extensive hauling capabilities. 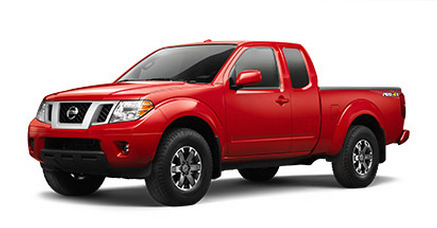 For serious towing and hauling capabilities in one vehicle, drive the new Nissan Titan. 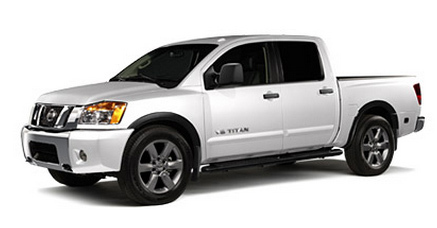 This full-size pickup is offered in Titan and Titan XD models, including the choice of V8 gasoline or turbo-diesel engines for all-day performance and dependability.